Product Specifications ■ Model: stereo step-up transformer for MC cartridge ■ frequency band: 30 ~..
RECORD CLEANING EVERY RECORD IN YOUR COLLECTION SHOULD BE CLEANED BEFORE YOU PLAY I..
Our classic Black Cube, equipped with the extra potent PWX power supply – this is the Black Cube S.. 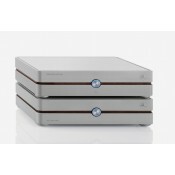 The advanced version of the multi-awarded Black Cube SE has a lot to offer: based on the SE audio ..
Audiophile all the way Needless to say that we selected the components for the Decade w..
StudioPhono replicates the wide bandwidth transparency Mobile Fidelity Sound Lab mastering engineers..
With fully coupling output transformers which is the best structer of output transformer, It is made..
本機特點： 1、針對KT88電子管特性，專門定制的高功率、低失真放大器 2、整機採用全進口電子管 3、國外經典膽機的素質，國產膽機的價格 CP88-..
Richard Gray Power Company TM（RGPC）成立於 1998 年，公司設立於美國新奧爾良，而生產工廠則設於美國芝加哥。始創人分別由主管技術研究部門總監 Mr. Richard..
MC input Sensitivity: 0.35mV for 350mV output at 1KHz Input impedance: 200 Ohms .. The factory set input voltage of this tachometer is 220V, 50HZ. If you want to adjust the input volt..
with integrated analogue-to-digital converter Both Microsoft® Windows® and Apple® Mac OS® come wi..
MM and MC phono stage with brushed aluminium fascia. Available with integrated analogue-to-digital c.. The DPS features high quality components throughout to completely eradicate spurious noise for truly.. 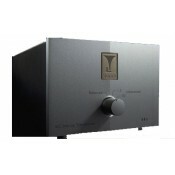 The Well Tempered Lab RIAA is a value for money phono stage. Suitable for High Output MC or MM cartr.. 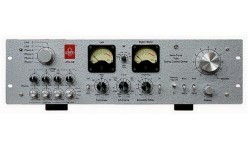 The TPP features a separate power supply using 2 x 12AX7 tubes. Providing a balanced gain with low n..